Q: The report called attention to the role of increased diversity in the workplace as a motivator for employers to provide workplace giving opportunities around issues their workforce cares about. How would you advise someone to understand these different issues and preferences of their diverse workforce? It is very important for companies to recognize that the changing workforce demographics require employers to offer more options and flexibility in all areas of the company. Allowing employees the ability to have workplace giving opportunities that align with their passions increases their commitment to their communities and to their company. Companies need to find ways to support all these different passions and recognize that everyone will have different things that inspire them. They can do this by broad support—not aligned to any specific groups—or by surveying your employees to see if there are alignments that could be made. Bottom line—to really understand these different issues and preferences of your diverse workforce—you should ask. 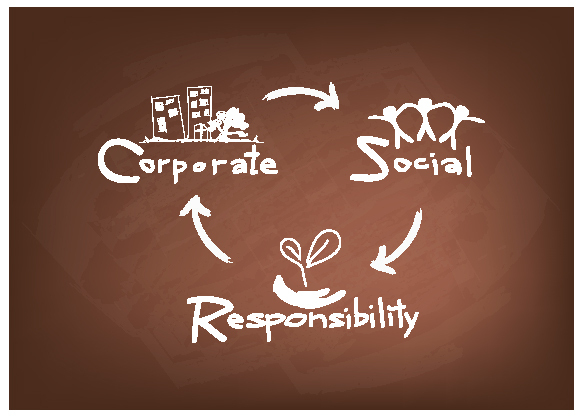 Q: CSR activities have been flagged as a differentiator, helping companies to attract prospective employees. What is the best way to publicize your efforts to jobseekers or to incorporate this area into conversations? It should be a consistent and significant part of your employment brand and be visible across all candidate marketing channels that you may utilize. You should include videos and testimonials from employees on how they participate in the CSR activities and how the company match and/or volunteering supports their passions outside of the company. Q: The report called out that employees have a more positive attitude toward their company when the employer executes several CSR efforts. How does this translate to return on investment (ROI), if someone wanted to use this argument to defend further investment in a workplace giving or other CSR initiative? Studies have shown that Millennials are drawn to “purpose.” Studies have also shown that this same generation tends to change jobs and companies more often than generations before them. Companies that support CSR initiatives that allow these employees to connect with purpose will see both increased attraction and retention of talent. In addition, the organizations that embrace employee CSR efforts will have an employer differentiation from other organizations that means they will have an advantage for hiring top talent. Q: In your opinion, has the employer-employee relationship changed with the rise of workplace giving programs that offer employees choices? The employer-employee relationship is one that continues to change as the candidate and employee demographics change along with highly competitive hiring and retention needs. With low U.S. unemployment, employers need to find innovative and creative ways to attract and retain talent. Utilizing CSR workplace programs that can align with an individual’s purpose (doing something bigger than themselves) will attract top talent, provide opportunities to build and develop new skills that will increase their individual career development, and also build stronger teams and individual engagement to drive retention. These are the three most important people goals that all companies look for—that is to attract, develop, and keep top talent.